As technology is progressing, every other inanimate object seems to become “smart.” While smart TVs, smart coffee makers, smart cars and smart baby monitors are becoming hugely popular, now there are smart basketballs for sports lovers. These basketballs come with multiple sensors that are built into them and look for patterns made by the ball’s movement. The sensors transmit the data to the processor that reads and analyzes the information before sending it via Bluetooth to an app on the player’s smartphone. Working incredibly fast, the processor can receive data from the ball and send it to the phone app within seconds. 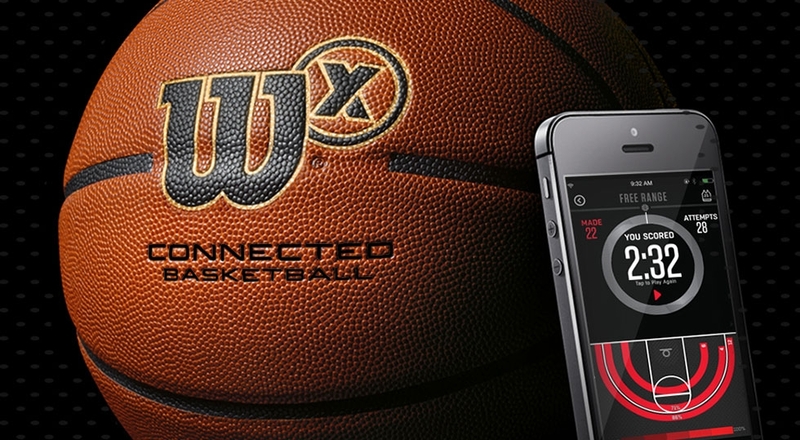 Among the smart basketballs, Wilson X Connected with Sensor particularly stands out because of its incredible performance. 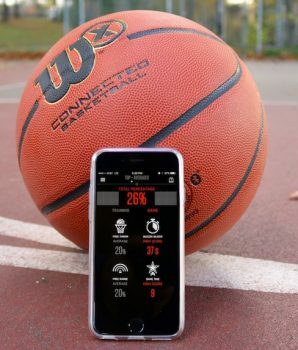 With this smart ball, you can shoot some hoops as you analyze data and track your progress to improve your game. We expect a quality product from such brand as Wilson and so far we are happy with what they offer. The basketball comes in two sizes: official size measures 29.5 inches and the intermediate size measures 28.5 inches. To make the ball work, the player needs to have a ten-foot hoop and a smartphone; no additional attachments or cords are needed. A small sensor embedded inside the ball tracks the shooting and performance stats, such as shots made, two-pointers, shots taken, three-pointers and free throws. The Wilson app can be run on both iPhone and Android devices. It includes four game modes: Free Throw, Game Time, Free Range and Buzzer Beater. The Free Throw determines how well you can shoot from the line, while the Free Range allows you to shoot from anywhere on the court. The Game Time and Buzzer Beater modes are used to test how well the player can perform in tight situations, such as when the team is down by a few points or when the clock is ticking down to zero. Moreover, there are sports commentator observations and crowd noise to get you in the zone and brings more fun and motivation to practice if you are doing it alone. The best thing about this smart basketball is that it does not require any cords for charging as it connects wirelessly. It comes with a healthy battery that can make more than 100,000 shots every year. Players can listen to the in-game audio in real time. The ball is suitable for both indoor and outdoor play. It features the cutting-edge Bluetooth sensor technology that never fails. Two sizes are available so that you can choose whichever suits you. On the other hand, many players think that there are a few drawbacks as well. The ball cannot measure the shots that are taken from less than seven feet away from the hoop. This means that passes, layups, dribbles and dunks will not be measured. Also, for proper measurement, the player must allow the ball to hit the ground after every shot. The basketball is designed for solo training sessions and will not track the entire team’s progress. 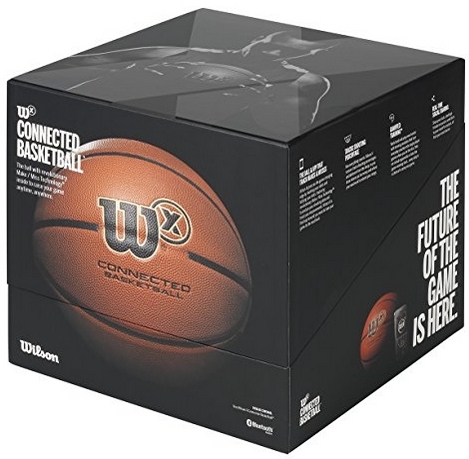 If you are planning to invest on the best smart basketball to improve your game, then this ball from Wilson can be an excellent choice as there is no better smart ball with better grip and overall performance. To summarize everything I laid here, I’d recommend to get Wilson X Connected ball. The features you get with this ball will impress you and I can assure you that there is no similar ball you have ever used before. Track your progress with Bluetooth sensors and get the idea of how to improve your game. If you decide to give it a try, I’m sure that you will see the results within few weeks, especially you will get better in shooting as this product is made for this purpose. It’s worth every penny spent.